After technical products containing asbestos, such as plasters and fillers, have increasingly become the focus of attention in recent years, the VDI 3866, Sheet 5 of October 2004, which was valid at the time, with a detection sensitivity of 1 mass percent of asbestos was no longer sufficient. The first attempts to improve the detection limit were made in 2011 with the so-called "SBH" method, according to which the detection limit was lowered by hot ashing and acid treatment of the samples and estimated at 0.001-0.003 % asbestos. Unfortunately, this method is not documented anywhere. The draft of VDI 3866, Sheet 5 of July 2015 took up these preparation techniques but, like the 2004 version, referred to the IFA / BIA method 7487 for the determination of asbestos contents of 0.1 mass percent and less. In June 2017 VDI 3866, Part 5 left the draft stage and is valid in its new version. Based on the proven IFA / BIA method 7487 and ISO 22262-2, it describes preparation and analysis methods which also permit the analysis of technical products < 1% by mass asbestos with an estimated detection sensitivity of 0.001%. In VDI 3866, Sheet 5:2017-06, specific requirements are defined for individual groups of technical products. Annex B lists a method for the analysis of samples with low asbestos contents < 1 %, based on IFA/BIA method 7487 and ISO 22262-2. In addition, an estimate is given of the detection sensitivity of this type of test at 0.001 mass percent of asbestos, which is calculated from the filter density, evaluated filter area and the mass of a reference fibre, among other things. (1) If no fibre is found in the evaluation, the detection limit shall be the maximum number of fibres that could be found elsewhere in the filter due to the random nature of the fibre count. Corresponding to the upper limit of the 95% confidence range of a Poisson distribution for the value 0 (no fiber found), this corresponds to three fibers (fiber structures). The mass of 6 x 10-6 mg used in the formula represents the sum of the individual masses for the 3 magnifications given. (3) The ratio of the mass after hot ashing to the mass before hot ashing is assumed to be 1. A filter occupancy density of 2 mg sample material per cm2 filter area is too high to ensure that fibres and particles are present on the filter preparation without being covered by neighbouring particles. "If more than approximately one eighth of the field of view is covered by fibres and/or particles, the field of view shall not be counted due to overloading, ... If more than 10% of the fields of view of a filter sample are considered overloaded, this filter sample shall be discarded." Here, however, the VDI contradicts itself, because it refers from Annex B1 Implementation to Section 5.3.3 Preparation for the suspension test according to which an occupancy density of about 0.25 mg cm-2 is to be aimed at. This corresponds fairly exactly to the specifications of the IFA / BIA method 7487 for preparation. In order to expose particle-bound fibers and to be able to suspend/filter the sample material after hot ashing, it must be mortarized or ground to grain sizes < 100 µm. VDI 3866 contains only basic information on how this should be done. As a result of this mechanical stress, larger fibre bundles of chrysotile asbestos are usually broken down into smaller aggregates or even individual fibres. Amphibola bests break into shorter fibers or divide into thinner fibers along their longitudinal cleavage. 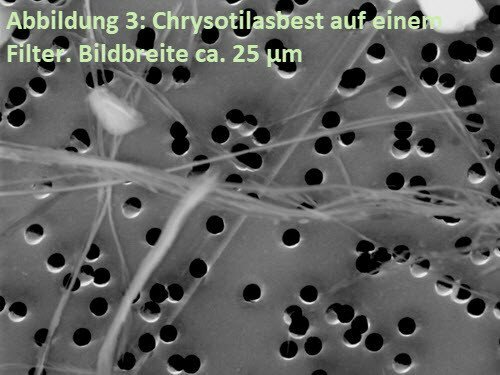 Typical asbestos fibers in samples prepared in this way usually show (experience from numerous analyses according to IFA / BIA 7487 and VDI 3866, page 5) fiber lengths between 5 µm and 25 µm and fiber diameters between 0.2 µm and 3 µm. Average values based on experience are 10-15 µm length and diameters between 0.3 and 0.6 µm, resulting in masses for a typical reference fiber of 2 x 10-9 to 1 x 10-8. As a result, the suspension filter can be evaluated at 50x and 200x magnification, but is not really useful because fine fibers cannot be detected. Even at 1000x magnification, it is questionable whether fibers with a diameter of 0.2 µm are visible. Therefore CRB additionally tests at 2000x magnification, as recommended in section 6.1 Sample analysis at the SEM of VDI 3866 and other established methods such as VDI 3492 and IFA / BIA 7487. The acid treatment should also at least be questioned. 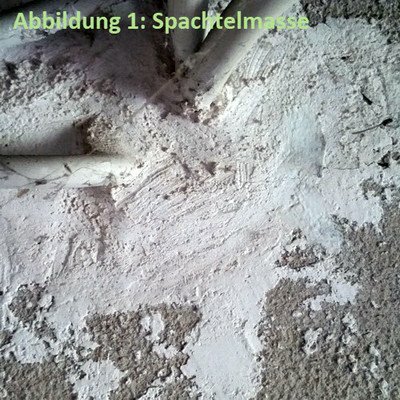 It certainly leads to an enrichment and release of asbestos fibres in lime plasters and other carbonate-based materials. However, in the case of gypsum-based plasters and levelling compounds, it may even lead to a deterioration of the detection sensitivity, since after loss of the crystal water due to hot ashing, the water content of the added acid may agglomerate and solidify again. The mass of the reference fibre is calculated from its length and diameter (cylindrical shape, density 3 g cm-3). When calculating the asbestos masses on the filter preparation, a conversion factor of 2 x 10-9 mg/µm3 (2 g cm-3), the product of the cylindrical shape and the density of chrysotile asbestos is used as a lump sum. This results in an estimate for the detection limit of 0.00006 mass percent asbestos for the qualitative investigation. This is lower than the detection limit of 0,001 mass per cent of asbestos estimated in Annex B. The detection limit of 0.001 mass per cent of asbestos is estimated to be 0.00006 mass per cent of asbestos. This low value coincides with a note from VDI 3866: "As also indicated in Section 8.2, mass concentrations determined according to Annex B may occur below the estimated detection limit value given here if the fibres found have lower masses (smaller diameters and lengths) than the "reference fibre". If, for example, all the fibres in the sample have diameters of less than 1 μm, the detection limit given above will be reduced by a factor of almost 100." The estimated value of the detection limit for a quantification according to IFA / BIA method 7487 with an occupancy density of 0.25 mg cm-2, evaluation of 0.5 mm2 filter area at 2000x magnification and the mass of a reference fiber for this magnification of 2.6 10-9 mg is 0.0006 mass percent asbestos. The VDI 3866, sheet 5:2017-06 offers with detailed descriptions of preparation and examination methods for individual substance groups meaningful innovations for the practice in the asbestos laboratory. However, there are some inconsistencies between Annex B and the main part of the Directive, in particular with regard to the filter density in suspension analysis and the magnification to be applied for the detection of thin fibres of 0.2 µm. The question also arises as to why a method for the analysis of small mass contents of asbestos is being installed at great expense when there are already established methods such as ISO 22262-2 and IFA / BIA 7487, whose specifications for preparation for suspension analysis are taken over in Section 5.3.3 and which are suitable for detecting asbestos even in small concentrations. It is very astonishing and alarming that all specifications listed in Annex B to the VDI were not included in the draft of 2015 and were also not published in a revised draft within the 2 years up to the final version.Thus, it was effectively prevented that suggestions and objections could reach the KRdL in the VDI and DIN and that the contradictions pointed out could be resolved before publication. 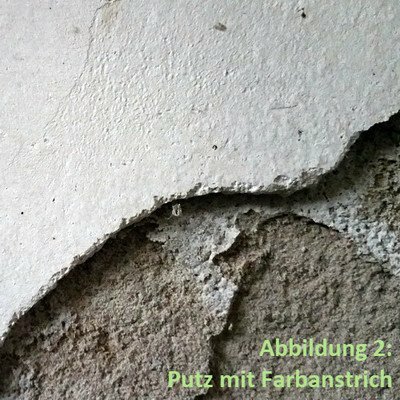 Despite the fact that the detection limit for asbestos is 100 times lower, qualitative findings with an estimation of the mass content are still "not a finding in the sense of the Ordinance on Hazardous Substances in order to determine whether the 0.1% limit has been exceeded or not". Ultimately, only the complex IFA / BIA procedures 7487 and ISO 22262-2 are available for this purpose. The author hopes that this contribution will initiate a discussion that will lead to a revision of the guideline in the form of a homogenization between the text part and Appendix B and provide binding and clearly understandable practical instructions for the analysis laboratory.